A bevy of bike shares: Dockless bikes on West Martin Luther King Jr. Boulevard, with a B-cycle docking station in the foreground. An explosion of neon bikes has been hard to miss around Uptown lately. What gives? When you see them all alone, you almost feel bad for them. As they're depicted in Charlotte photographer Logan Cyrus' ongoing Instagram photo series, the solo bicycles look like already-lost remnants of the city's recent proliferation of bike-share programs. In a photo taken on the Mallard Creek Greenway, a neon orange bike sits alone, creating a contrast with the barren backdrop of the winter woods. In another pic, a green LimeBike cadaver is barely visible below the ice of a Freedom Park pond. Elsewhere in the city, however, the bikes are healthy and growing in number. On a recent Friday at Romare Bearden Park, a multi-colored group of bikes stood at every corner, although some were simply sprawled across the cement, giving up all pretense of decorum. 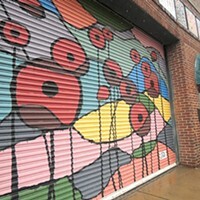 It's a sight that nobody walking through Uptown over the last month could ignore. Spurred by the launch of LimeBike and Spin in November, the city now hosts four dockless bike-share companies, which allow customers to rent bikes through an app and leave them wherever they please once they're done. Riders rent the bikes for $1 per 30 minutes or hour, depending on the company. Each company is on a one-year pilot program with the city of Charlotte, and each is allowed to put a maximum of 500 bikes on the streets, meaning the city will see as many as 2,000 neon-colored bikes by the end of 2018 — and potentially more if other companies are allowed to launch here. At the park on Friday, about 75 dockless bikes total were spread around the corners and roadsides of the park, which takes up two blocks between BB&T Ballpark and Latta Arcade. Of those, more than a third were lying on their sides, some in interlocked piles, looking like someone had kicked one over and let them fall domino-style. The new arrivals have enjoyed a less-than-warm reception on social media, where people have complained about bikes blocking sidewalks or being thrown in yards. The city government has tried to allay concerns with posts clarifying the regulations each company should be following and encouraging residents to contact each specific company when they have a complaint. 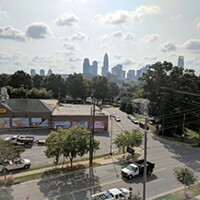 "We are keeping tabs on the reports — both complaints and praise — that come in through the companies, 311 and social media," the @CLTgov Twitter handle replied to a recent complaint about bikes parked in front of a bus stop in South End. In that picture [below], the bikes look like they were placed there by employees, who drop off groups of bikes at different spots throughout the city where they're expected to get the most use. So what rules do these companies and their customers have to follow? Each of the four bike-share companies operating in Charlotte — LimeBike and Spin, as well as Ofo and Mobike — had to sign a contract mandating that they meet certain ongoing requirements regarding safety, maintenance, operations, parking and data. For example, companies are required to advise customers where they are allowed to leave the bikes (and they must be standing) within the app before they are allowed to rent one. If a complaint is called in between 7 a.m. and 7 p.m. on any given day, the company must move the bike to a spot deemed reasonable within two hours. 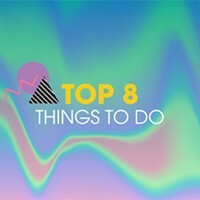 Over the next year, the city will monitor each company's adherence to these regulations, as well as take into account residents' input, before deciding if the companies can continue to operate in the city. According to city officials, next steps could include denying the use of dockless bike-share services in the public right-of-way, adopting new policies and regulations for the vendors or developing a city-owned bike-share program operated by a single vendor. The city has operated B-cycle, a bike-share program that requires riders to dock their bikes at designated stations, since 2012. Larken Egleston, Charlotte City Council representative for District 1, where many of the bikes can currently be found, said he has already heard complaints from numerous constituents about the bikes — most regarding the "carelessness" with which riders leave the bikes behind — but hopes the city can find a way to move forward by the end of the year. "I think there's room for B-cycle and dockless bike-share programs to coexist. I think in some cases they serve different clientele, and they've got their own pros and cons," Egleston said. "We do need to be very cognizant to making sure they're not impeding accessibility for disabled folks or for pedestrians using sidewalks, and that we do have some policies in place in terms of where they can be left so they're not blocking other pathways." Dockless bikes sprawled in front of Latta Arcade. 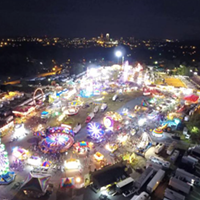 A learning curve is to be expected among companies and riders, especially considering the quickness with which some of the companies have launched their Charlotte programs. 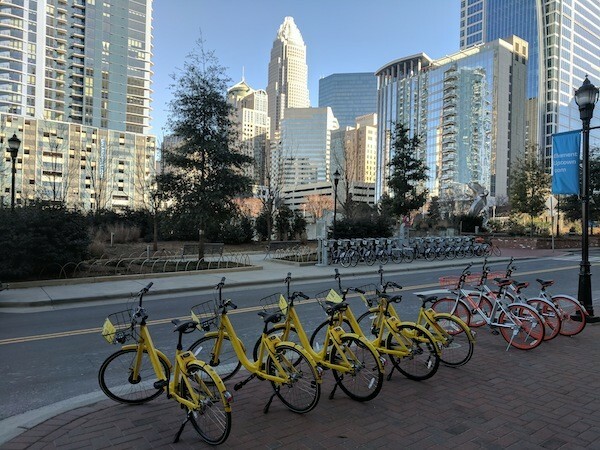 One company, Ofo, launched in Charlotte on December 28 and had 300 bikes on the ground by the New Year. 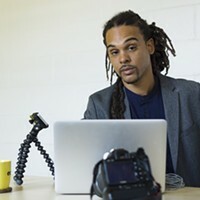 Taylor Bennett, a spokesperson for Ofo, said he believes the local operations team has now put 500 bikes on the streets and is now focused on addressing any issues as they come up. 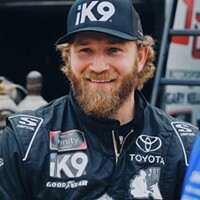 Bennett said that if a bike is left in an improper location, the local team will look contact the last rider to make sure they are aware of the rules regarding proper parking. "At this early stage, it's a lot of education," Bennett said. "It's a brand new model, there's going to be some growing pains in terms of how it works and getting people accustomed to moving out of the right-of-ways and parking properly." For Phillip Sanford, a Charlotte cyclist who regularly advocates for more bikeability in Charlotte, the rollout of dockless bike-share programs has left him sore. He worries that the constant photos on social media of neon bikes strewn about like litter on the city's sidewalks is giving cycling a bad name. "Our city is close to capacity for cars and we need to utilize mass transit and bike commuting as the area grows," Sanford said. "We need proper infrastructure. We need a public base that is very pro-car and anti-anything else to have a positive view of bike commuting and its possibilities. Flooding the area with cheap bikes with little oversight and a lack of acknowledgement of legitimate concerns just perpetuates the idea that biking is just a fad very few people should be a part of." Kate Cavazza, bike program manager with local cycling advocacy organization Sustain Charlotte, thinks otherwise. She said she has high hopes for the programs and wouldn't mind seeing more in the area. Sustain Charlotte has been consulting with each company about where their bikes could be best used as they arrive in Charlotte, Cavazza said. She pointed out that while the groupings may seem crowded during the first months of operation, once people start to ride them throughout the city — especially as the weather warms out — they won't be as noticeable. "Each new bike that gets dropped, they kind of stand there and people look at them. With time, we hope that people get on these bikes and they're spread out into communities all over Charlotte," she said. Cavazza is optimistic that dockless bike sharing can help bring bikes to parts of the city not usually associated with cycling and help provide more people with a dependable mode of transportation. 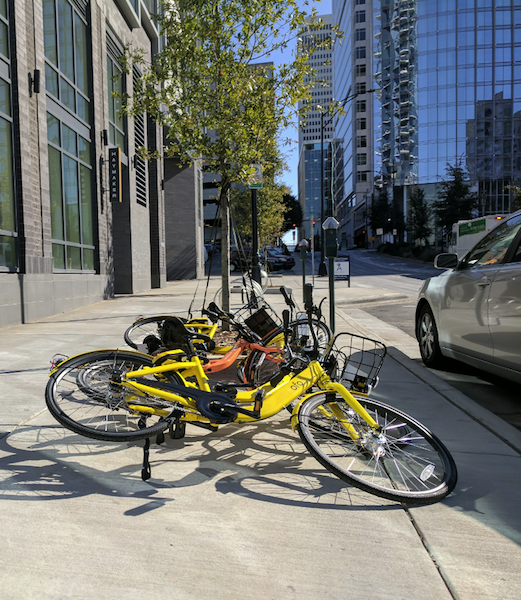 She said she's aware of some of the bad publicity the dockless bikes are getting, even from within the cycling community, but hopes she can rely on the folks who want to support bikeability concepts in Charlotte to lend a helping hand in the first months of the rollout. "I would say, for other bike advocates, if you see a bike that's down, pick it up, move it over," she said. "It doesn't take that much effort. If you have a problem with it, move it three feet to the left." And if you see a lonely bike waiting solemnly on a greenway, it's probably just wondering how it lost all its friends. Hop on and give it a ride. Or post one of those #docklessbikefail photos if you want. But whatever you do, for God's sake, don't kick it.